Oh, the lovely colors and flavors of summer. I created this refreshing salad for Oh My Dirfter. I whipped it together, and Micaela worked her magic with the camera. Place all ingredients in a medium-large bowl and mix to combine. Taste and adjust seasoning if needed. Serve on a bed of greens or as is along with a side of seed crackers. 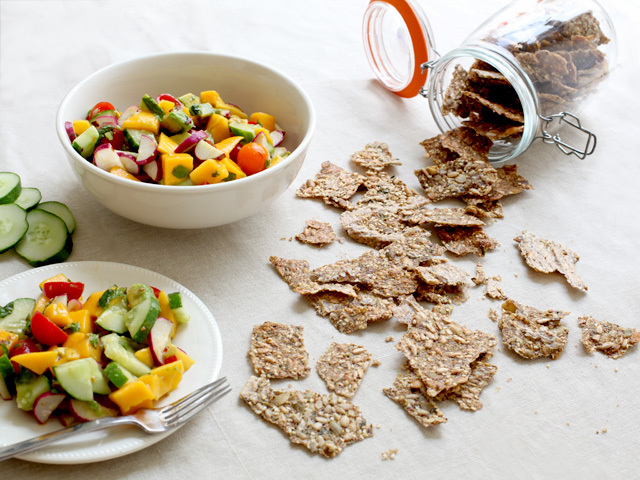 To learn how to make your own Seed Crackers, click here.